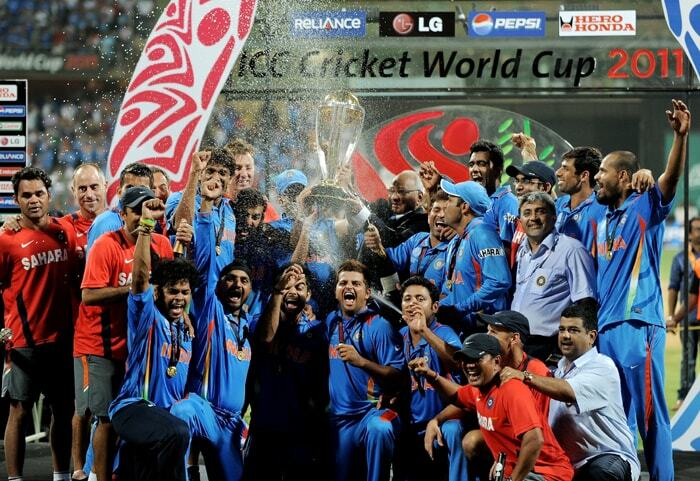 Team India waited for 28 long years to get it's hand on the coveted 'Cup of Joy' but it was the Master Blaster's wait of 20 years that drove Dhoni's men to give in their best and win the Cricket World Cup 2011 Championship. The feeling was beyond ecstasy for the Men in Blue as they held the trophy - Fierce tigers of the team, Yuvraj and Bhajji bursting into tears, Sachin being carried on Virat Kohli and Suresh Raina's shoulders - these are moments that would go down as the most priceless ones in the history of our nation. All for this one man! 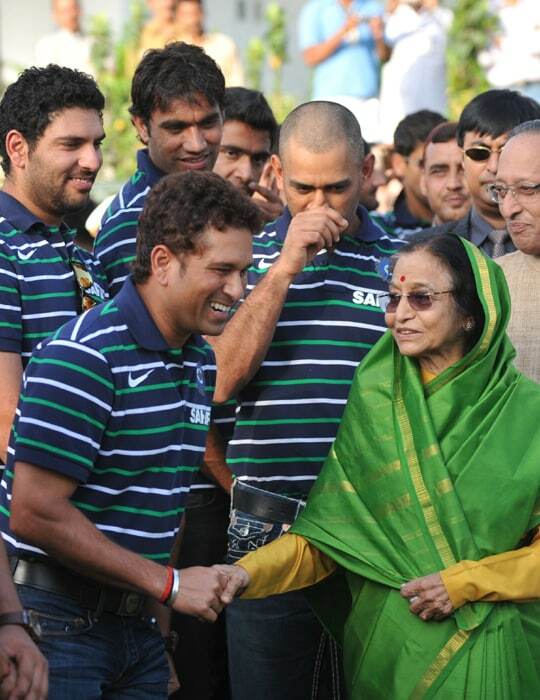 The Master Blaster said it was the proudest moment of his life! He gets his hands on the trophy after six World Cup tournaments and 20 years of wait! The man of the moment. 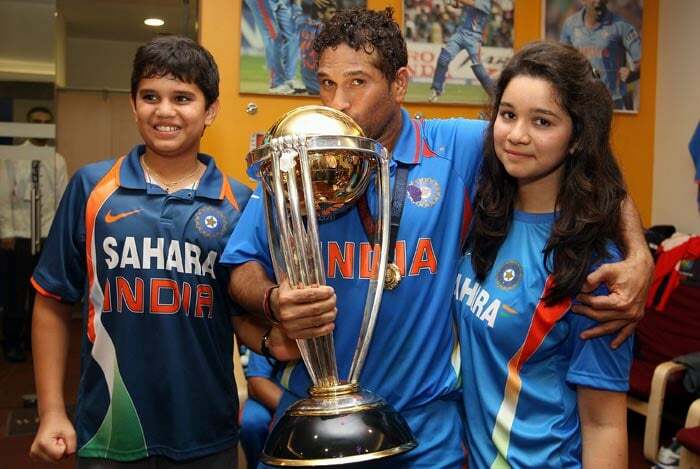 Sachin expresses his gratitude to his home-crowd. It wasn't just the 32,00 odd people present at the Wankhade stadium who prayed for Team India to win the cup for Sachin but millions of his fans across the globe pitched in in their own unique manner. Ka-ching! Some pockets just got heavier, as the BCCI opened its coffers to generously reward the Indian cricketers for their stupendous success over their neighbours. 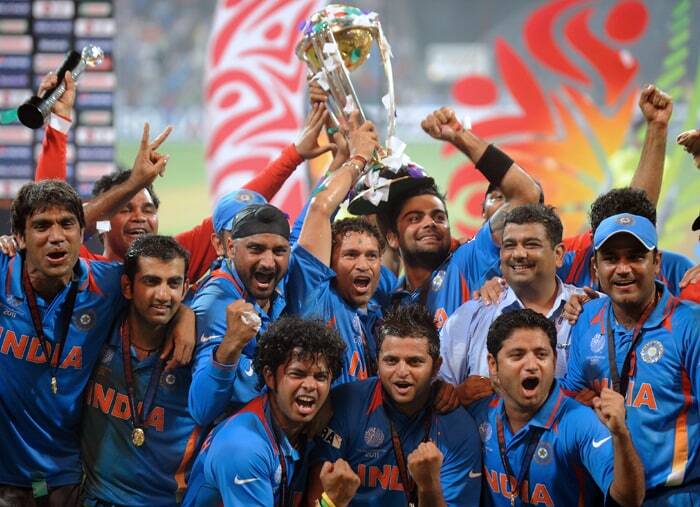 Every Indian cricketer part of India’s ICC Cricket World Cup 2011 squad will get a reward of Rs.1 crore each. The BCCI has decided that the cricketers were worthy of a monetary reward for winning the ICC Cricket World Cup 2011, much like when the cricketers were rewarded for winning the ICC World Twenty20 in South Africa in 2007. 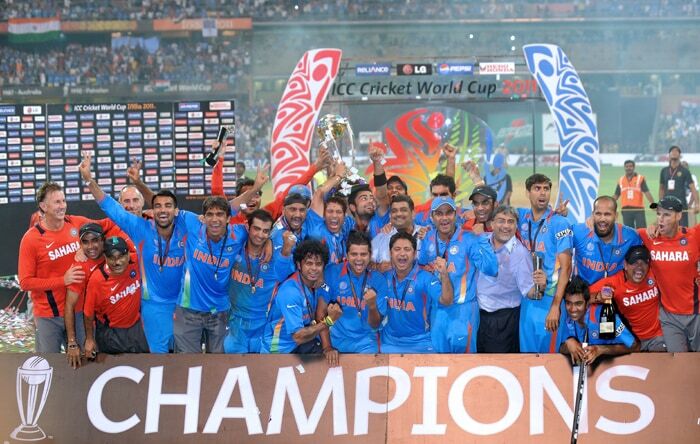 But the BCCI has not forgotten the men who picked these boys. The Indian selectors may have missed the Mohali match, but they will not complain as they have been granted a reward themselves, richer by Rs.25 lakhs each. And even Gary Kirsten, the Indian coach, and his support staff will receive parting gifts of Rs.50 lakhs each for their part in making the Indian dressing room conducive for such superlative success. Expect more perks coming the way of the Indian cricketers after his ascent. The Hyundai Verna awaits them for starters.